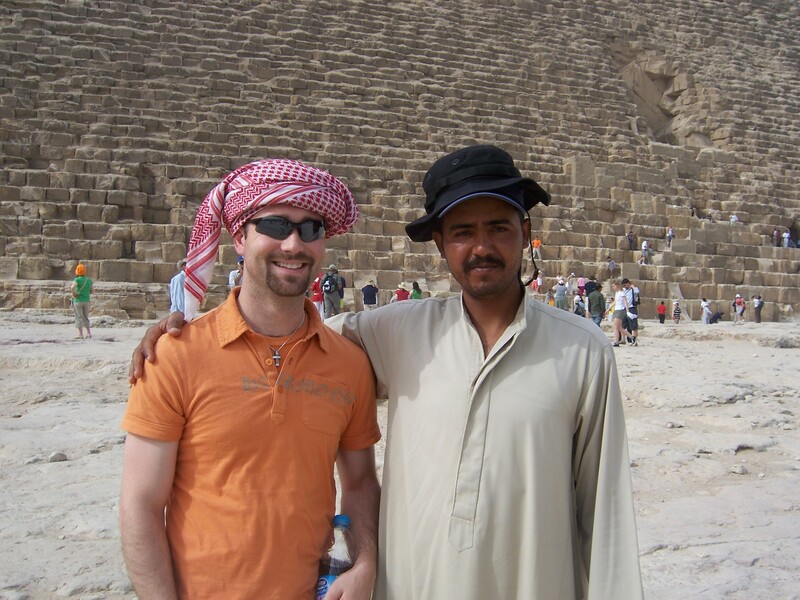 Me in front of the Great Pyramid in Egypt with a "friend" I met. We traded hats for the photo op. I don't think you have the right to feel that way. I admit, I was a bit taken aback at first, but then she explained her point. I'm not helpless. I don't live under an oppressive regime. My life isn't at risk because of a corrupt police force. I can do something. Maybe I can't get on a plane tomorrow and head back to Cairo so I can join in with the pro-democracy protestors, but there is stuff I can do here. I can work to bring awareness of the situation to those around me. I can contact my representatives in government (even when that is often fruitless). I can fight on their behalf even from halfway around the world. There is simply too much at stake for me to feel sorry for myself because I'm not where the action is. I can, and will, support those fighting for freedom here in my country and around the world. Thank you, Trinity, for reminding me of this.